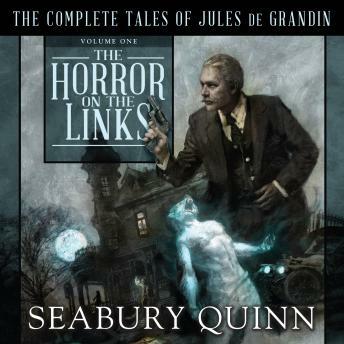 Seabury Quinn's short stories were featured in well more than half of the pulp magazine Weird Tales's original publication run. His most famous character, the supernatural French detective Dr. Jules de Grandin, investigated cases involving monsters, devil worshippers, serial killers, and spirits from beyond the grave, often set in the small town of Harrisonville, New Jersey. In de Grandin there are familiar shades of both Arthur Conan Doyle's Sherlock Holmes and Agatha Christie's Hercule Poirot, and alongside his assistant, Dr. Samuel Trowbridge, de Grandin's knack for solving mysteries-and his outbursts of peculiar French-isms (grand Dieu! )-captivated readers for nearly three decades. Collected for the first time in trade editions, The Complete Tales of Jules de Grandin, presents all ninety-three published works featuring the supernatural detective. Presented in chronological order over five volumes, this is the definitive collection of an iconic pulp hero.